1. In a small pot pour in vegetable stock, saffron threads, and bay leaves, simmer on medium heat covered. 2. In a large skillet or pan on medium heat add olive oil, garlic, and yellow onion, cook till onions are slightly browned. 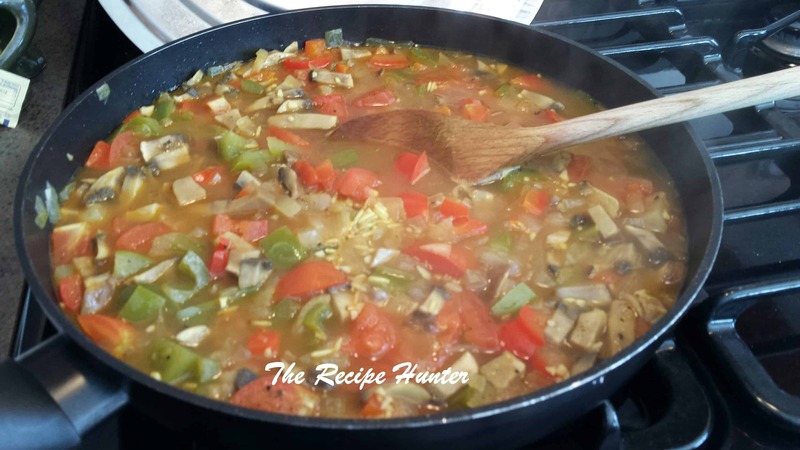 3. after about 5 minutes add bell peppers and mushroom stir and cook for another 5 minutes. 4. Now add in tomatoes and rice and pour in the vegetable stock along with seasonings stir till well combined and cover for about 25 to 30 minutes stirring occasionally (you can add more vegetable stock as needed). 5. 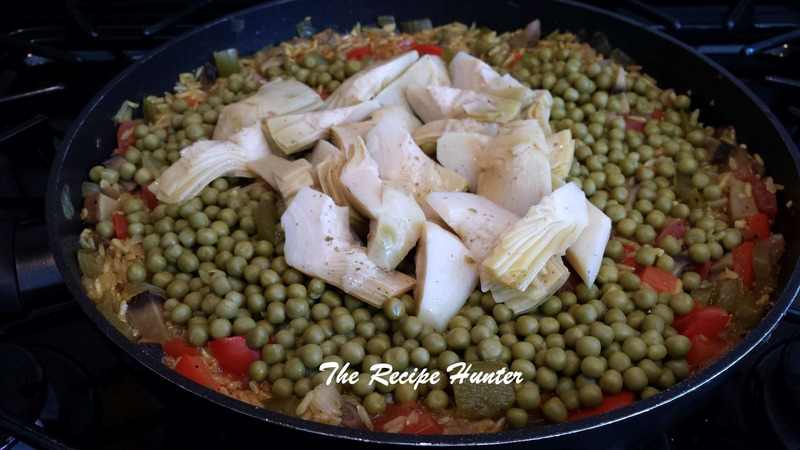 Remove lid and add peas and artichoke hearts turn off heat and cover for another 5 to 10 minutes. 6. Remove lid and enjoy! Garnish with fresh or dried parsley and fresh squeezed lemon juice.